League of Legends (LoL) is one of the biggest eSport betting games out there at the moment. It has been one of the top esports during the last few years and it doesn’t seem like it will be different anytime soon. How is the game played out? Why would you bet on it? The objective of this article is to give you the answers to these questions as well as to provide you with the basics of the game so you eventually can start betting on LoL. Let’s start with talking a little about the game. League of Legends is normally played in a 5 vs 5 map called “Summoner’s Rift”. Each player controls a champion who spawns in “the fountain”, which is a specific region in the base where you can buy gear and consumables that will aid you in your final objective; to destroy the enemy’s Nexus. Top lane: 1 champion who is usually a fighter or a tank. Middle lane: 1 champion who is usually a mage or caster type which has a lot of mobility. Bottom Lane: 2 champions. An Attack Damage Carry (ADC) and a support. Jungle: One champion who can clear the jungle really quickly and has some sort of crowd control to assassinate the enemy champions. 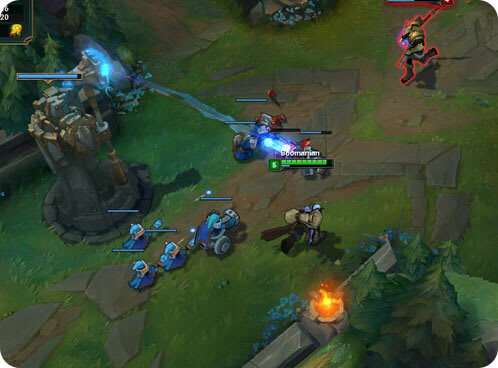 League of Legends is a highly dynamic game where champions move from lane to lane creating plays to disrupt the enemy’s plans in order to overpower them to the point that they are capable of destroying their entire base. Given the interesting strategical nature of the, people have started to get a closer look at the betting on for instance which Nexus will be blown apart and on what team that will come out the strongest. Mr Green does their best to be completely updated in every League of Legends competition so you can get your betting on in the tournaments that everybody is enjoying. Some of the major events would be the World Championship, Rift Rivals and the Midseason Invitational. However, you will always find odds for weekly tournaments hosted all around the globe. Register a Mr Green account – it won’t take you more than 3 minutes! After that, you can begin checking out the odds markets. The odds for a team to win a specific match would be the most common betting market you will encounter. Just begin to familiarize yourself with how the teams are priced in relation to your expectations on them as far as performance. Last thing to do – after you feel more confident to place your first bet – is to make a deposit. Remember to have a look at the bonus offers that you can take advantage of when signing up for the first time. 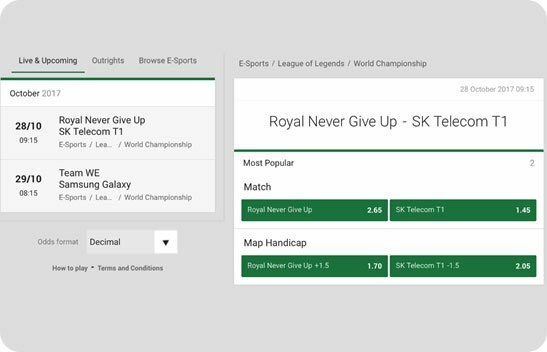 How can you make the most of every bit of information out there about League of Legends in order to gain an edge in LoL betting? First of all you must get closer to the games, if you already aren’t. This simply means that you will have to watch and study a professional game. If you don’t play League of Legends (and even if you do), this will help a lot to discover the things that make a team win or be superior in the long run versus another. If you watch a lot of games you will know the players, their style of play and what teams that relate better to other teams’ playing styles. The first thing that you should be paying attention when predicting the outcome of a match is the economy. The team with the highest gold advantage has also the highest chance of winning. The reason is simple, with more money you can buy better equipment which will give you the ability to kill your foes with ease. You can earn gold in four different ways: Killing minions, killing an enemy champion, assisting another player that killed a champion and killing the monsters in the jungle. Teams that have mastered to gain a gold advantage will have a higher chance of winning. If you have this as a basis in your odds valuation you will get closer to what the “real” odds should be (according to your expertise that is). Another important factor is the buffs you can obtain by killing dragons or Baron Nashor. You can find these beasts near the jungles and they give you a lot of gold when you kill them and not only that they also give you a buff which effect depends on which beast did you kill (there are 5 dragons and Baron Nashor). A team that pays attention to the spawn time of these creatures and seizes the perfect moments to kill them will not only have an economic advantage but also a power spike that will give them a good probability of success. Watching games and studying the stats of each team – individual as well as head-2-head history – will let you know which ones do this better and those are teams you should certainly keep your eyes on when making a bet. One last thing you should keep in mind overall is vision control. In League of Legends, you can’t see the entire map. The unseen territory is called “the fog of war”, and minimizing it is crucial in playmaking. To reduce the fog of war, you need wards. A ward is a trinket you can place in the ground and it will give you vision in a specified radius. By maximizing ward placement, you will have more vision, which means that you will have more information about your surroundings. This helps in the offense as well as the defense. If you have more vision, you possess an immense advantage over your foes. That’s why the best teams out there maximize ward placement and this is another factor to look for when studying the potential and strength in a team. Match winner – this simply means that you will be on the winner between for instance Royal Never Give up versus SK Telecom T1. If the odds is 2.65 on Royal Never Give up and you bet €10 on them to win, you will get €26.50 paid out to your betting account. Outright winner – this odds represents the winner of a tournament. This means that if you place €10 on Royal Never Give up to win the World Championship, you get 7.00 times your money. You will have to wait until the tournament finishes to get your eventual payout. Live betting – In live betting odds you will be able to follow the odds fluctuations as the match progresses. As you study the game live you can also betting on the very match live – on a second to second basis. This betting market is perhaps the best one to apply your precise skills and knowledge about the game. Join today and take part of your welcome bonus! Map control, economy optimization and vision control – everything here is essential to consider in odds evaluations. Does your team excel in these things? What strengths and weaknesses do each team have? Know your teams through stats! All of these details can be seen in numbers posted on several knowledgeable LoL-sites. Pick the betting market that suits you – if you don’t follow the matches as much but have a better feel for the long term form trend of specific teams, have a look at the outright winner market. If you follow the games on a daily basis, get into live betting and learn how the odds fluctuate as things change throughout the games. We have to repeat it again: Watch a lot of League of Legends pro matches! Remember that you will only understand the depth of a game in a if you see how the best of the bests play it.